It's not your "industry" or "market"...it's you! Don't be a BOZO! "I hear you. That's great for other markets but it's not appropriate for our industry. That's not how our customers do things." Everyone likes to feel good about their opinions, knowledge and grasp of big issues - particularly those that are at the core of their professional identity. And we naturally tend to seek out and associate with those who tend to share a similar outlook. So if you're a 55-year-old business owner who thinks that Twitter is the most inane crap you've ever heard of, completely inappropriate for your business and not used by any of your potential customers, you'll normally associate with others who have similar perspectives. Similarly if you're a millennial who's running a business and doesn't put a phone number on your website because you assume that everyone will prefer to work via email (or cryptic SMS), you probably spend time talking about work with others who are eschew the telephone and coordinate their activities with text messages. Whatever you believe, as the bromide goes, you're right. 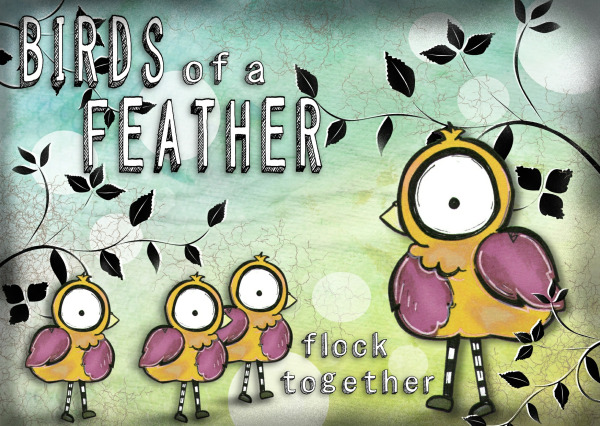 And each time one of your "birds of a feather" parrots back (pun intended) the same stuff that makes sense to you, your cognitive bias kicks in and you become even more soundly convinced of the ubiquitous validity of your opinions. But how many of you really "want the truth?" Obviously we're not talking about seriously ethical plays in this case - but we're talking about your business. And increasingly in today's hyper-competitive, digital global world that means peeking over the wall (across borders and into the social media and digital marketing maelstrom) to learn uncomfortable truths about what's really happening out there. Or we can expose our bellies and start to absorb the blows - and that's likely how they'll feel. Gut punches to much of that which you hold to be established fact - particularly about the role of global business development and digital marketing in your traditional B2B American industry. But you must be ready to listen; consider and internalize some of what you learn. So start with rule #1 - you are not your customer and your customer is not you. What you want matters when you go grocery shopping or spend time on your hobby. But the way your prospects buy will continue to change no matter how ingrained your denial. and yes.....Twitter is a real, viable and necessary B2B business development tool. We're happy to challenge your traditional assumptions - but only if you're serious about engaging in a productive dialog. We can stay home and pull the string on our classic Bozo if we're interested in simply hearing the same thing over and over again! You know - the "But that's for B2C" and "Export is too complicated" silliness while exchanging smug nods with your "birds of a feather." And our promise in return isn't to simply push formulaic responses. Not every social media platform is right for any business, and not every global market is an attractive opportunity. In fact, some companies should simply remain domestic. But decisions should be informed and concious rather than the default product of naivete...or ignorance. 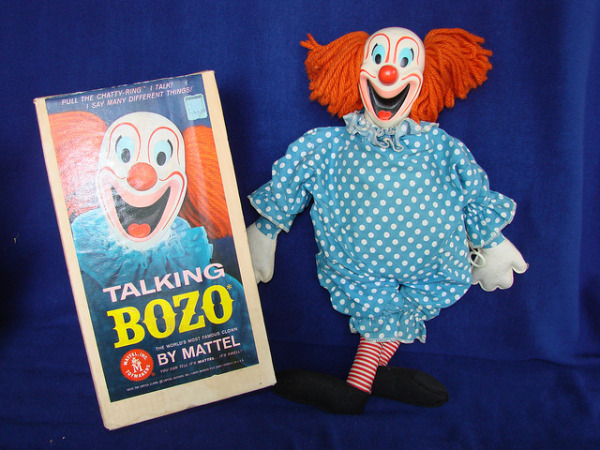 Don't be a bozo - get serious about growing your business in today's world, rough and tumble as it is, and stop fantasizing about how you would have grown in in the 90s!